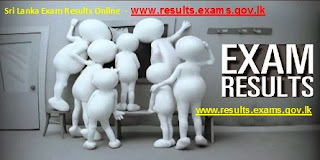 2018 G.C.E Advanced Level (2017 GCE A/L Exam - උසස් පෙළ ප්‍රතිඵල Aposa Usaspela Prathipala) Results release via www.doenets.lk or www.exams.gov.lk - Examination Department. You May Be Pass, May be Fail. You may be qualified for University, You may be Not, But You Can Change Your Future. There are so many ways. Be Strong, Select your path !! Use below websites or check via SMS. 1. First re-scrutinized A/Level results 2017 should be released. 2. Then University Hand Book will be issued. 3. After issuing the Hand Book students should be fill it and send to UGC. 4. Based on students’ desired course students have to apply for Aptitude Tests after publishing on national newspapers. 5. After that students have to sit for Aptitude Tests depend on their selected courses. Then aptitude test results will released by relevant universities. 6. Z score cut off marks will be released with selected degree course. Higher education Ministry sources says that the students who are qualified for the 2018 University Academic year based on 2017 A/L results will be admitted before the end of 2018.